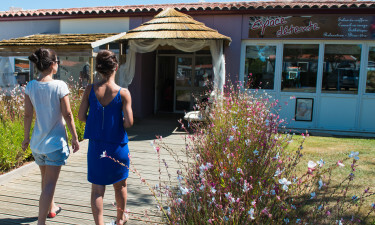 Sun worshippers are sure to experience the best that luxury camping has to offer when they book a mobile home at Les Brunelles. Whether you prefer to unwind by soaking in the onsite hammam or take part in aquatic activities, this is a great place for the whole family to unwind. Nature lovers are sure to appreciate the location of Les Brunelles, as it is situated in one of the most picturesque parts of the Vendee region. 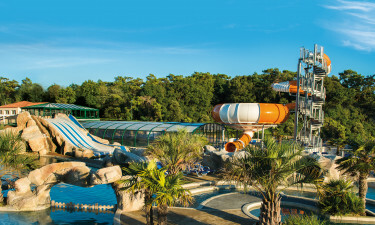 While visitors are sure to want to spend plenty of time getting to know the world famous Pays de la Loire area, this luxury camping site also boasts excellent amenities and activities. The large outdoor swimming pool is set with sun loungers for pure relaxation, while aches and pains can be soothed in the Jacuzzi. 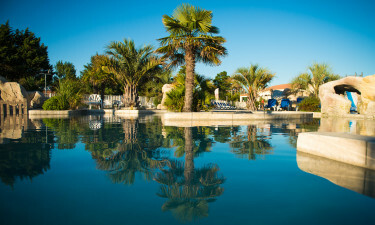 Les Brunelles also features a covered swimming pool that can be enjoyed all year round. After checking into this leading LuxCamp, visitors to Les Brunelles are sure to want to take the 800m stroll down to the beach. In addition to simply soaking up the sun, a wide range of activities can be enjoyed here such as beach volleyball and horse riding.